MathChat | Kiss those Math Headaches GOODBYE! Full confession: I’m a word-nerd. I love language. When I was a kid I would read the dictionary and explore the etymologies of words in a beat-up edition of the American-Heritage dictionary. The other side of this is that I’m highly tuned in to words, the power they have to draw people in, or push people away. So in my tutoring I pay a lot of attention to the words I use when I talk to my students about math. And I think this has paid off over the years, as I’ve developed a reputation as a person parents bring their kid to when the child is frozen with math anxiety. Since this is the start of a school year I’d like to make a few suggestions on how all of us who are math instructors — teachers, tutors, homeschoolers, parents — phrase our “math talk” so we keep the level of math anxiety as low as possible to keep our students as open to math learning as possible. Avoid closed-ended questions. Wait! you’re thinking. This is math class. There have to be closed-ended questions! Math problems have just one answer. Perhaps, but you don’t have to phrase every question in a closed-ended way. Suppose you have the diagram of a rectangle that is 12″ x 7″, and you want your children to figure out its area. You could simply ask: What is its area? Or, you could ask: Does anyone have an idea about its area? The first question makes children feel that there is only one way to answer, and their answer will be either wrong or right. The second question allows a child to say a variety of things that could be right, such as: a) the area is base times height, or b) the area is in square inches, or c) the area is more than 12 square inches. Because the question is open-ended, it allows for a variety of answers, not just one answer, therefore it invites participation from more children, not just from the child who knows the answer in the precise number of square inches. Encourage exploration, and let the learning come as a natural result. Example, suppose that you’re teaching the concept of equivalent fraction and you’re using fraction circles to do so. Imagine that you’ve just helped your child understand the barest beginning of the concept of equivalent fractions by helping him see that 1/3 = 2/6 by placing two 1/6 pieces on top of one 1/3 piece. You might next want the child to follow this up by finding another kind of fraction that is equivalent to 1/3. The closed-ended way to do this would be to tell the child that such a fraction exists and to ask him to find it. The more open-ended way would be to ask the child if s/he thinks there might be another piece, other than sixths, that would fit perfectly on top of the 1/3 piece. “Do you want to explore if there’s another piece that might fit on top of the 1/3 piece?” you could say to the child. That’s all you’d need to say, and the child will be off and carrying out the challenge. Allow for multiple approaches to the same answer. 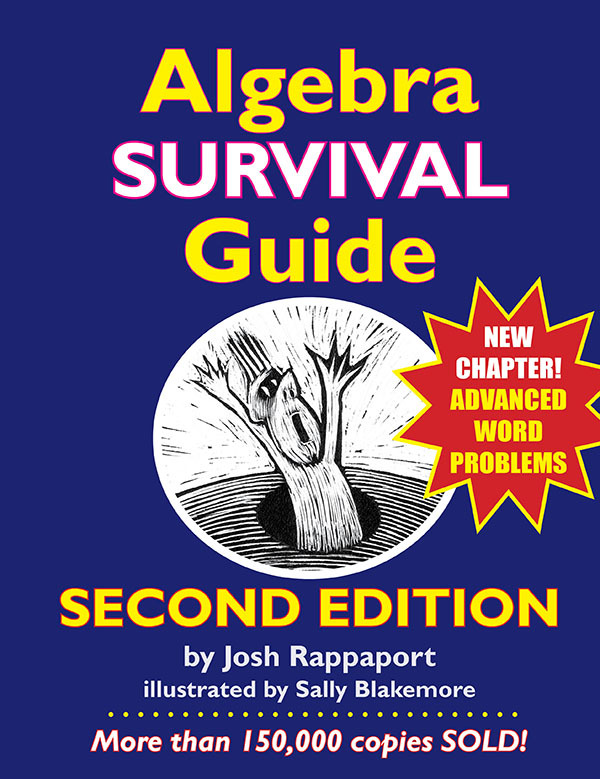 Let’s say you’re teaching an algebra lesson on simplifying numerical square roots. It’s a nice idea to teach the process in two ways and let the students know that both ways are equally valid. The first way involves prime factorizing the number under the square root, then taking out one of every pair of prime factors. The second way involves breaking the number into a perfect square times another number, then taking out the square root of the perfect square. You demonstrate both techniques and have students learn both techniques. Then you let each student decide on which technique s/he wishes to use. Doing this models the idea that there is more than one way to do math procedures, and that shows students that they can develop their own ways to do math procedures as long as their way leads to the correct answer. So these are a few ideas on ways to talk about math to students. I know from my own experience that the way we talk about math has a big impact on how comfortable students feel around the subject of math. I’ve been coaching many students on the ACT math test lately, and I’ve heard a myth from them and their parents that I’d like to dispel. The myth is this: If you’re an “A” math student, you’ll ace the ACT math test, and you won’t need long to study for it. This notion is absolutely FALSE, for four key reasons. The ACT test has a challenging time limitation, and until you learn how to master the time factor, you will struggle with the ACT math test. The ACT math test requires you to remember a large quantity of math material, stretching all the way back from PreAlgebra to Trigonometry. It’s quite possible to be an “A” math student who memorizes a lot of info before each big test, then forgets that info right after each test. If you’re that kind of “A” math student, you’ll struggle with the ACT because you’ll need to re-learn all of that math that you have forgotten. In school you’re taught how to do the problems that come up on the test. And then you take the test on those skills. So as long as you study, you should have a good idea how to do those problems correctly. But on the ACT math section, the problems require you to figure out what to do right then and there. You have to “think on your feet” because the problems are often non-traditional in nature. So the ACT math section is testing your overall ability to think mathematically, not just your ability to regurgitate a bunch of stuff you have memorized. On school math tests you focus on one topic at a time. For example, a test might be on three methods of factoring, and that’s all that you’re tested on at that time. But on the ACT math section, any given problem might require you to use math skills from seemingly unrelated areas of math. Example: one problem might require you to use geometry’s Pythagorean Theorem and also require you to use algebra’s rule for factoring quadratic trinomials. So you have to work in a more fluid, flexible way.For all of these reasons I always cringe when a parent calls me up and tells me that his/er child needs to bring up an ACT math score up by 5 points by studying “really intensely” in the last week before the test. In fact, my recommendation is that students start preparing for the ACT no later than the summer before their junior year of high school. That way students get an early feel for the challenges of this particular test, and they can make a plan for re-learning all of the info they need to re-learn. They also have time to learn the strategies they’ll need for this test. In a future post I will share some examples of actual ACT math problems so you can get a better sense of the situations I’m describing. In the meantime, consider starting out with that idea of summer before junior year as the ideal time to get your child started studying for the ACT math section. Well, it turns out that there’s a pretty easy way to find the LCD when you’re adding or subtracting fractions. In fact, there’s a secret, shortcut way that you probably won’t find anywhere else on the internet. But you will find it here. We need the LCD for our two denominators: 12 and 20. 2nd) Make a proper fraction out of the two denominators. A proper fraction is just a “normal fraction” — smaller number on top, larger number on the bottom. 12/20 simplifies to 3/5. Reciprocal (“flip”) of 3/5 is 5/3. 4th) Multiply the original fraction by the reciprocal (the flipped fraction). 5th) You just found the LCD. The number that’s repeated in your answer is the LCD. Fraction we got was 60/60. This means that 60 is the LCD of 12 & 20. Now of course, once you have the LCD, you’ll multiply top and bottom of the original problem’s fractions to make their denominators equal to the LCD, equal to 60, in this example. So here you’d multiply the original fractions — 5/12 and 3/20 — so they have a denominator of 60. One nice thing about this process. It shows you what you need to multiply the fractions by.